Schwerin – the city of the seven lakes Germany’s smallest provincial capital is built around seven lakes and is the perfect place for a relaxing stroll along their shores. And to fully enjoy your city trip, the location of your hotel is a crucial factor. 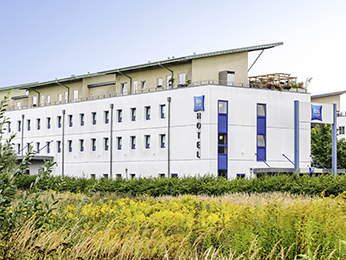 AccorHotels in Schwerin offer optimal comfort and service, because we are always working to meet all your needs. On top of that, you know that when you pick an Accor Hotel, you will enjoy a convenient central location. Find a hotel in Schwerin on AccorHotels.com and discover the diversity of the city The largest of all the lakes around the city is the Lake of Schwerin. On an island in the middle of the lake, you’ll see the spectacular and magnificent Castle of Schwerin – today the residence of the National Parliament and the Palace Museum. Meanwhile, the oldest building in the city is the Dome of Schwerin, which you can find on the market square. And if you are after a taste of what life was lke in the past, try the open air museum “Schwerin-Mueß”, built as an 18th Century mock village. You’ll also find important examples of 19th Century architecture in the Mecklenburg State Theatre and the State Museum, while the Town Hall of Schwerin is built in the Gothic style. 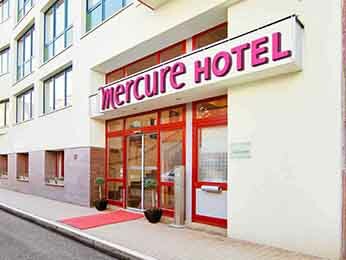 Below are all the major attractions to visit in Schwerin. - Dome of Schwerin - Town Hall - Castle and garden with orangery - Schwerin TV Tower - Zoo - Schwerin seascape - Schwerin-Mueß open-air museum - Mecklenburg State Theatre - State Museum Schwerin – full of events! During summer and spring months there’s a lot going on in Schwerin. May sees the film art festival, the “White Fleet” parade and the Festspiele Mecklenburg-Vorpommern. In the following months there is the pottery market, the five-lake-run, and the Dragon Boat Fest. This last event is always held in August and is one of Europe's largest dragon boat events, with over 140 teams taking part each year. Held on the Pfaffenteich in Schwerin, there is also usually live music, fireworks and show acts in the area around the pond too. So if you’re visiting Schwerin in August, you won’t miss it, because the whole city is bustling and decorated with Chinese art. Through the rest of the year, the Old Town Festival, the Schwerin Literature Festival and the Wine Festival are fun events and worth a visit too. Be aware that Schwerin doesn’t have an underground; though you can get around by bus or tram. And of course, the AccorHotels are centrally located and offer great service and comfort if you need a rest. AccorHotels – benefits of our hotels in Schwerin! All guests of AccorHotels will receive Le Card AccorHotels loyalty points for every overnight stay. You can turn these into attractive bonuses, such as discounts or vouchers for future stays. Furthermore AccorHotels offer early bird, family or weekend trip deals. Have a look at AccorHotels.com and find the best deals for you!